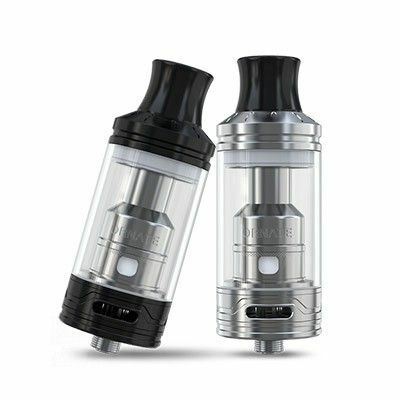 The Joyetech ORNATE atomizer, detailed with the stylings of Neo-Georgian architecture, brings forth such bold characteristics as the MGS triple coil head with three distinct airflow channels. Each air channel correlates with the featured triple airflow inlets for an ultra low resistance draw. The ORNATE sits prominently on any mod embellished by an ultra comfortable wide bore drip tip. 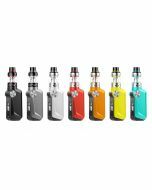 Its 25mm diameter cleverly disguises a full 6ml. e-liquid capacity. In short, this atomizer looks smart but means business. MGS series heads for ORNATE:The new MGS series heads, including MGS SS316L 0.15ohm and MGS Triple 0.15ohm head with the enormous shape are especially and perfectly designed for the ORNATE atomizer. 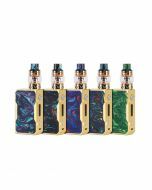 Large e-liquid inlet:With three prominent holes along the sides, the MGS coil heads offer plenty of e-liquid inlet which will get the coil totally soaked with ease. Especially for the triple head, you can even adjust the e-liquid inlet by simply rotate the valve. Premium finish with fine patterns:Being clean and smooth, the ORNATE atomizer is made of high quality stainless steel with premium finish. The decorative patterns engraved on top makes it a total exquisite tank. Filling e-liquid with ease:Simply uninstall the top cap from the vent pipe component, then inject the e-juice into the two side holes (not the vent pipe) directly. Mouthpiece adapter:The mouthpiece adapter for ORNATE atomizer enables to put a normal 510 mouthpiece on it.